Contemporary Forex community looks beyond the online sphere growing into an independent offline movement. Forex brokers set up functional client offices, offer new training courses, traders form new clubs, and more Forex advertisement appears as banners on the subway and street billboards. Financial events of every sort and kind, including exhibitions, conferences, grand dinners, biennale, presentations, trainings under the aegis of this or that broker pave the way for Forex development from virtual to real market. 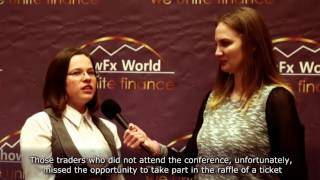 However, let us focus on the most common and accessible Forex events - exhibitions. Nowadays tens of companies are involved in organization of financial events with ShowFx World among the most prominent ones. For four years already ShowFx World exhibitions attract people worldwide furnishing the expertise required for traders. The ShowFx exhibition portfolio takes in events organized in Moscow, Singapore, Dubai, Kiev, Yekaterinburg, Almaty, New Deli, Riga, Kuala Lumpur, Cyprus, Cairo, Jakarta, and many others. 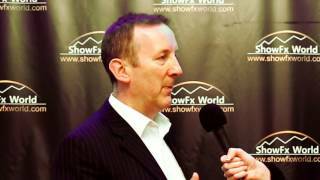 What is behind the ShowFx World exhibitions triumph? First, ShowFx has an ample experience in arranging financial events around the globe and several tens of successfully held events prove that. Second, being at the forefront of new ideas, the company aims at rendering superior service. Luxurious Hyatt Regency, Marina Bay Sands, Suntec City, and Radisson Royal hotels open their doors of comfortable conference halls to host the events organized by ShowFx World. Moreover, Forex market pundits - from managers and senior analysts at large brokerages to market gurus - deliver their lectures and practical seminars at the ShowFx World exhibitions. Besides, a nearly endless list of participating companies and organizations is diverse. ShowFx World unites large brokerages and dealer centers, banks, investment companies, educational projects, representatives of different financial organization, and specialized media. However, what makes ShowFx World exhibitions successful is the idea of convenient and efficient Forex arena where lots of valuable and constructive ideas applied both by traders and large companies have emerged. Thousands of traders have already chosen their brokers during ShowFx events. Business and informal meetings promoted for new affiliate agreements and joint projects between different companies and organizations. Do not miss out, be a part of Forex community, the place where new ideas are nourished and fruitful collaboration begins.